Rate of Change is simply the net change in Price over the selected period. 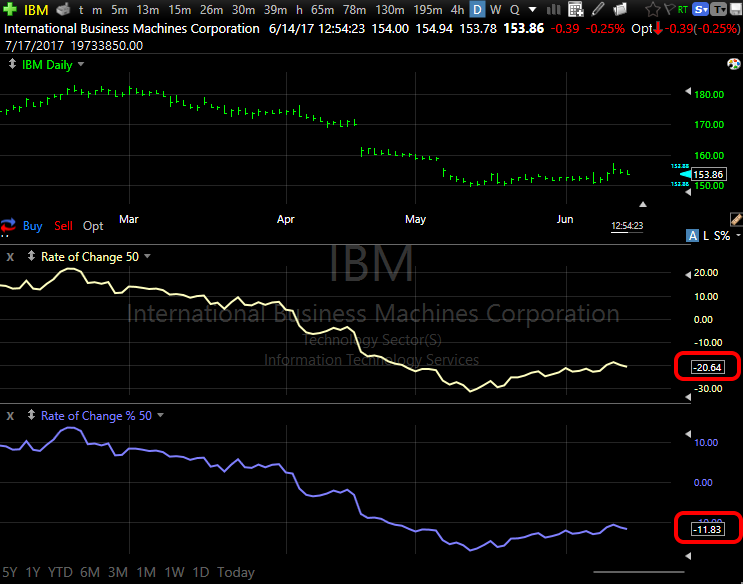 In the Daily chart below, IBM is down -$20.64 compared to 50 days ago. The Rate of Change Percent reflects the same reading on a percentage basis. IBM is down -11.83% over the last 50 days. A 50 period rate of change can be written as follows. A 50 period rate of change percent can be written as follows.